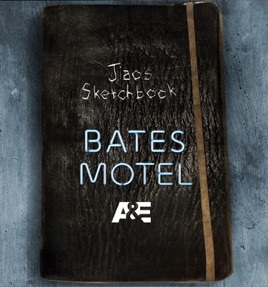 In A&E’s Bates Motel airing Mondays @ 10/9c, Norman Bates discovers a sketchbook hidden underneath the carpeting in one of the rooms at the Bates Motel. 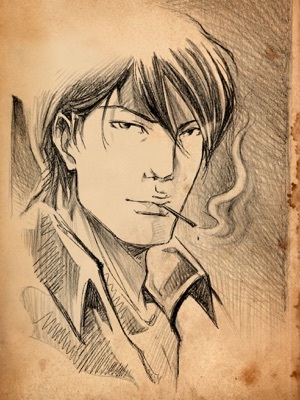 Inside he finds Chinese writing and manga sketches, immediately becoming captivated by the drawings. 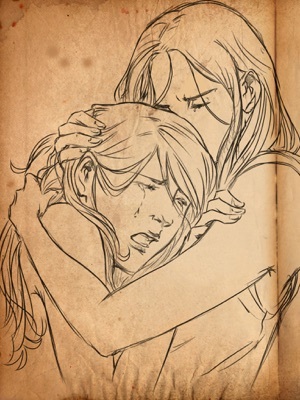 Norman, along with his classmate and friend Emma Decody, begin to dig deeper into the story behind the sketches and stumble upon a bigger mystery than either of them could have imagined. 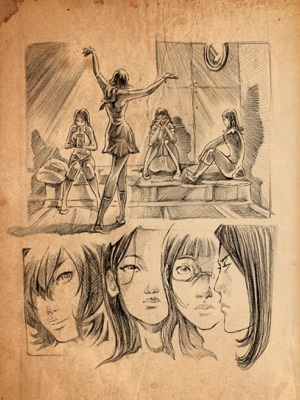 As the season unfolds, more characters from the manga are introduced and more secrets exposed; this book is the story of one of those characters. © 2013 NBC Studios, LLC. ALL RIGHTS RESERVED. NOT TO BE DUPLICATED WITHOUT PERMISSION. This material is the property of NBC Studios, LLC and is intended solely for use by its personnel. The sale, copying, reproduction or exploitation of this material in any form is prohibited. Distribution or disclosure of this material to unauthorized persons is also prohibited. Love this, it a great extended story from the show. I'm really loving bates motel , didn't think I'd like modern day take but Norman and Norma are great characters. This book was good just wish their was more seemed that they had it tuff and now that Norman found here let the episodes keep coming.